GREAT CHEFS AND RESTAURANTS CAN GO BEYOND good SOURCING by teaming up to create a renewable food system. yet less than 3% of the state’s farmland is organic after 45 years of certification. 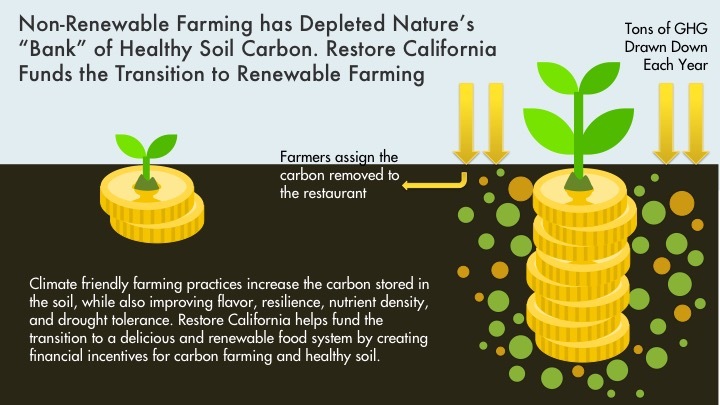 participating restaurants add a 1% charge that goes into california’s healthy soil carbon fund, and pays farmers $10/ton of carbon removed from the atmosphere to help them transition to renewable farming practices. 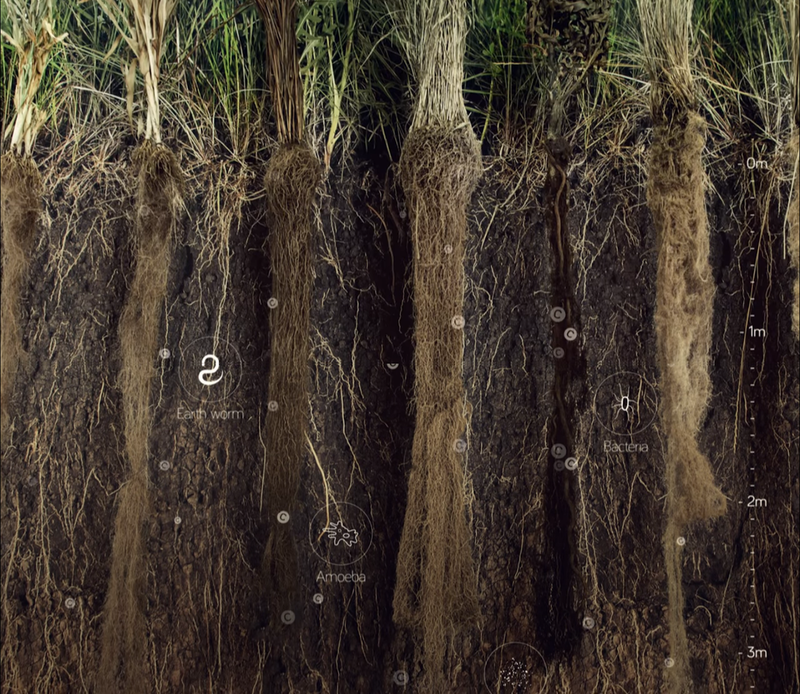 this allows all restaurants to go beyond sourcing well “when possible” and to directly improve the food system. Restaurants do their part to counteract climate change while connecting with CONSUMERS AND INSTITUTIONS that prioritize the planet. Restore CAlifornia closes THE ECONOMIC LOOP between producers and consumers, CREATING A RENEWABLE FOOD SYSTEM.